Although this has been a short half-term - at four weeks this year - our College has: held important mock examinations for our IGCSE and IB students; taken Year 11 to the top of a mountain in rural China for silent meditation; hosted a highly successful ACAMIS basketball tournament in which both our girls’ and boys’ teams played with exemplary spirit and teamwork; developed student leadership at Dulwich Colleges’ as well as Global Issues Network (GIN) conferences; and enriched our students’ learning with various, engaging trips to our own locality. 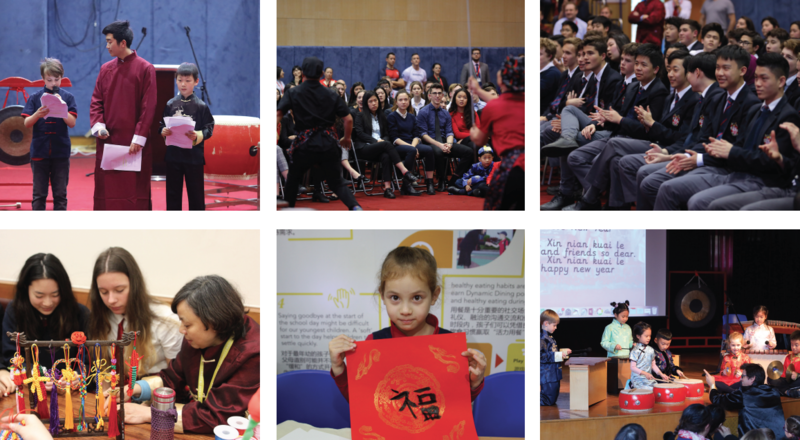 Our students of all ages continue to take part in the diverse opportunities of school life at Dulwich College Shanghai with enthusiasm, commitment, and a smile. So much so that they may feel quite disconnected from the mythological pig of the Chinese zodiac who, either through indolence or gluttony, is fabled to have arrived last of all the creatures. That said, as befits balance in life, the pig’s strengths are considered to be those of an optimistic mindset, a determined approach, a sense of organisation, and a loving warmth towards others. No matter what our own personal birth-signs may be, we hope that all of us may benefit from these particular characteristics in the Chinese new year ahead. We wish all of you a lovely holiday!